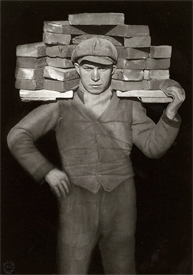 Early in his career, perhaps after tiring of prizes that were too easily won, August Sander set for himself a problem that ranks among the most ambitious in the history of photography: He assigned himself the project of making a photographic portrait of the German people. He set about his task as systematically as a taxonomist, gathering, specimen by specimen, exemplary players of the roles that defined German society. Hod carrier, gamekeeper, confectioner, student, functionary, industrialist --- piece by piece Sander collected the elements for his composite portrait. His concept is almost a caricature of teutonic methodology, and if it had been executed by a lesser artist the result might well have been another dreary typological catalogue. Sander, however, was a very great photographer. His sensitivity to his individual subjects --- to expression, gesture, posture, costume, symbol, habitat --- seems unerringly precise. His pictures show us two truths simultaneously and in delicate tension: the social abstraction of occupation and the individual soul who serves it. Sander was a professional portrait photographer, but many of the subjects for his great project surely did not pay him. Some doubtless could not, and others, if paying customers, would have expected to be shown less fully revealed. 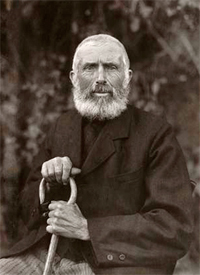 In his professional role he must have made safe and routine portraits, but there are none among the two hundred or more of his published works. On the evidence of these pictures, it would seem that he found every station and every individual of consequence. 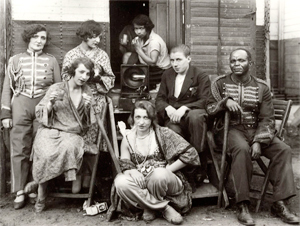 Photographer August Sander's great gift to the world is his collection of portraits documenting German society in the early decades of the 20th century. 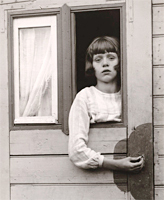 The book is a fine introduction to the work of a pioneer who refined portraiture to its essence, changing the way photography was regarded in Germany and the world. Revered as a father of modern photography, August Sander so refined the art of portraiture that his moving images of his fellow countrymen have been heralded both as an important sociological document and a photographic masterpiece. But those images make up only a portion of this deluxe seven-volume set, which will stand as the definitive collection of Sander's considerable achievement. Nothing seemed to me more appropriate than to project an image of our time with absolute fidelity to nature by means of photography?c Let me speak the truth in all honesty about our age and the people of our age.